Since When Do Animal Lives Matter More than Human Lives? On Memorial Day weekend 6 people were killed and 63 more were shot – in just one US city, Chicago. On the same weekend a 3-year-old boy fell into the gorilla enclosure at the Cincinnati zoo, where a 500 pound gorilla dragged him around by his leg for 10 minutes, sometimes hitting him against the stone wall. 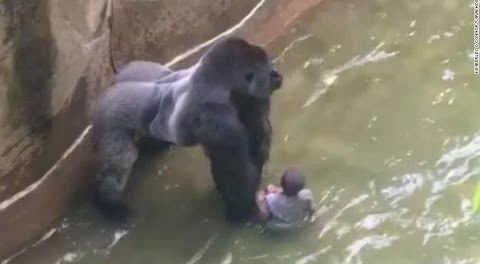 Eventually zoo experts determined that the child’s life was in danger, and shot the gorilla to save the boy’s life. There was huge outrage nationwide – not about the 69 people shot in Chicago, but about the one animal who was shot to save a human child. In fact, there was FIFTY-FOUR times as much television coverage on the liberal national networks (NBC, CBS & ABC) about the shooting of the gorilla as there was about the murders in Chicago and the rest of the nation. What has become of our society when there is more concern about an animal than about a human being? Crowds of “animal rights activists” called for criminal action against the parents of the boy. At first the Cincinnati police announced that no action would be taken against them. Then, as the protests increased, the cowardly police brass announced that they were considering charges against the parents. The activists even brought up the fact that the boy’s father had a criminal history. What does that have to do with the child accidentally falling into a gorilla habitat? Every animal expert I saw interviewed on TV (including directors of other zoos) said that the zoo had no choice but to shoot the gorilla. One mentioned that a gorilla of that size could crush a coconut in one hand like a grape. He said that a human would need a hatchet to open the same coconut. Who could stand by and watch a gorilla, who the fire department described as “agitated” toy with this child? The bleeding hearts say the zoo should have tranquilized him. They’ve obviously been watching too many sitcoms, where someone is accidentally shot with an animal tranquiler dart and immediately falls unconscious. The experts said that said that (1) It would take 5 to 10 minutes for the tranquilizer to take effect; and (2) It would likely agitate the giant ape even more. My only problem with the zoo’s actions is that it allowed the boy, his parents and the onlookers to be terrorized for ten long minutes before they acted. I love animals, and am particularly drawn to apes. They are marvelous creatures created by God. But no matter how human-like they may seem, they are still animals. 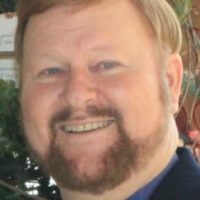 God gave man dominion over all the animals of the earth. Dominion includes taking care of them. To all the people nationwide yelling that it is inhumane to keep animals in captivity, I say that the fact that we can go to zoos and see animals in their natural habitats (not in small cages as zoos used to do) is a good thing. If we can look at them and appreciate them, we are much more likely as a society to protect them. I feel terrible for the zoo officials who had to make the gut-wrenching decision to kill the gorilla. They loved him, and would have done anything the could to protect him. But in the end, when it is a choice between an animal and a human, the human being must always come first.